To access property tax record information online, go to the Tax Records tab on the City Treasurer’s home page or Quick Links list in the right hand margin and select Munis Self-Service Tax Information. On the Milwaukee Self Service Welcome! page, select Online Tax Inquiry on the right margin. On the Welcome to Online Tax Inquiry page, select either Personal Property (applies to equipment used by a business) or Real Estate (homeowners need to select Real Estate) or Special Improvements (for Special Improvement Bonds). On the Real Estate page, enter your tax key / account number in the Parcel ID field. Note that the format of the tax key / account number has changed, as the check digit has been dropped and no hyphens are needed (i.e. : 3921261000). As an alternative, you can enter in the House Number and the Street Name including the street direction and type (200 E WELLS ST). Hit enter or click on the Search button. On the Personal Property page, enter your tax key / account number in the Property Code field. Note that the format of the tax key / account number has changed, as no hyphens are needed (i.e. : 99999999). As an alternative, you can enter in the House Number and the Street Name including the street direction and type (200 E WELLS ST). Hit enter or click on the Search button. On the Search Results screen, select View Bill for the tax levy year you want to review. After selecting a particular tax levy year, you can return to Search Results page to view another tax levy year by selecting Search Results in the right hand margin. For 2018, you can access a PDF Copy of the Tax Bill by selecting View Bill Image. You can download the PDF or print it out. Do note that the 2018 tax bill is legal size, 8 ½” x 14”. To make a Property Tax Payment Online, select the Resources Menu icon , which is the third icon from the right in the blue bar at the top of the page, and select PAY ONLINE. It is recommended that you copy and paste the tax key / account number on to the Make a Payment page at US Bank to assure accurate payment application. E-Check transactions (an ACH debit to your checking or savings account) incur no convenience fee. VISA™ and MasterCard™ Credit and Debit Card transaction incur a convenience fee of 2.75%. Tax payments made on-line are applied to the current tax levy. To access a Property Tax Report, also known as a Tax Search, on the Real Estate page, enter your tax key / account number in the Parcel ID field. Note that the format of the tax key / account number has changed, as the check digit has been dropped and no hyphens are needed (i.e. : 3921261000). As an alternative, you can enter in the House Number and the Street Name including the street direction and type (200 E WELLS ST). Hit enter or click on the Search button. On the Search Results screen, select View Bill for any of the tax levy years shown. On the Real Estate screen that appears next, select Property Tax Report located on the right margin. On the City of Milwaukee Property Tax Search screen, select the Print Page button to print out a PDF of the tax search. On the Special Improvements page, enter your tax key / account number in the Parcel ID field. Note that the format of the tax key / account number has changed, as the check digit has been dropped and no hyphens are needed (i.e. : 3921261000). As an alternative, you can enter in the House Number and the Street Name including the street direction and type (200 E WELLS ST). Hit enter or click on the Search button. On the Search Results screen, select the Account Number listed to view the Account Summary. On the Account Summary page, you may select Assessment Details to view the original amount, the interest rate, the unbilled balance, and the payoff amount. You may also select Manage Bills to get the total due by an “as of” date of your choosing. On the Manage Bills page, you may select Bill Details for billing detail. On the Bill Detail page, you may select Payments and adjustments to view payment activity. Watch as Milwaukee’s Treasurer Spencer Coggs shows you how to pay your property tax bill at the bank. Get list of the locations of the US Bank branches that will accept City of Milwaukee property tax payments. 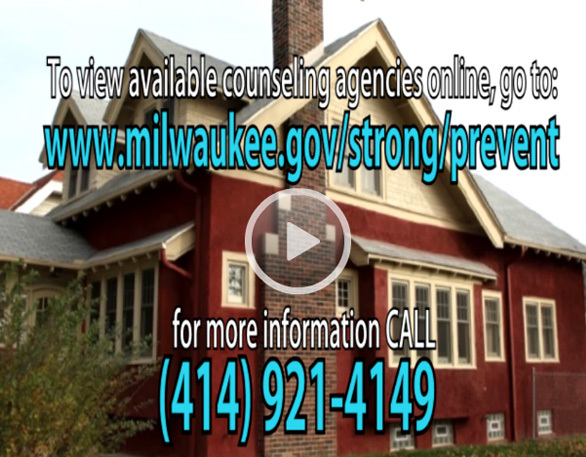 Watch as Milwaukee's historian John Gurda shows you how to make your tax payment electronically. 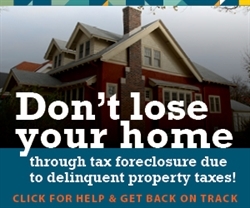 Watch as Milwaukee City Treasurer Spencer Coggs and Common Council Members Willie C. Wade, Milele C. Coggs, and José G. Pérez suggest a way to avoid losing your home to tax foreclosure.